While I'm still not sure what to expect from Wilco's latest studio recording, at least we now know what its packaging will look like. Tri State Indie snagged the cover art for dBpm Records' inaugural release of Wilco's new single "I Might," backed by a cover of Nick Lowe's "I Love My Label." The 7" will be first be made available to fans attending the Solid Sound Festival in North Adams, MA later this month. If you can't make it out to Massachusetts, you can expect the single to hit the shelves of your local record store on July 19. The folks over at CD Universe already have the record available for pre-order. I'll definitely be snagging a copy of the 7" at Solid Sound and as soon as I can find my way to a turntable, I'll be posting my impressions of the new tracks. 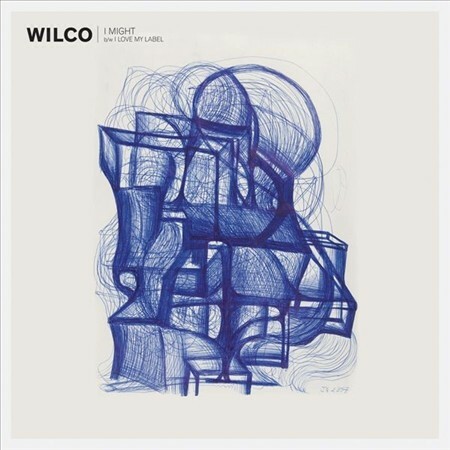 Oh, and I usually don't make a big fuss over cover art, but this is Wilco—they're the exception. UPDATE: The single is now available for pre-order from the Wilco Store, in regular (black) and blue varieties. Rough Trade has a silver version of the 7" available for pre-order. It's safe to say Solid Sound attendees will have access to some sort of exclusive color variant as well.